Xylem has unveiled a new dry test pit for large capacity pumps at its global manufacturing plant in Emmaboda, Sweden. The new facility will enable testing of wastewater pumps up to 20,000 lbs in horizontal and vertical configurations, in a dry environment on-site at Emmaboda, providing customers with in-depth and exact performance data for their intended application. The new test pit is particularly significant for Xylem’s municipal customers seeking to bolster their stormwater management infrastructure. Global flood losses as a result of shifting weather patterns are expected to increase to $52 billion per year by 2050, from $6 billion in 2005. 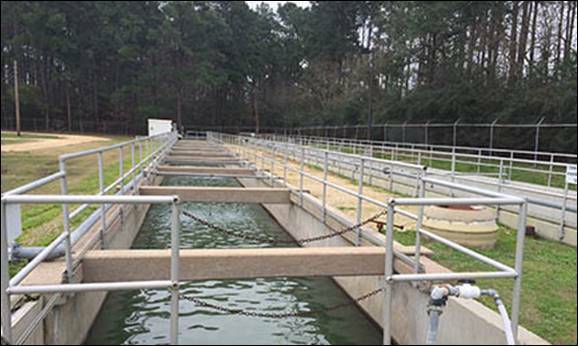 Xylem’s new dry-pit testing facility will support the testing requirements of customers purchasing large capacity storm water pumps to help build resilience to these severe weather events. Victaulic celebrates a century of innovation - 100 years since it was granted its first industry patent for mechanical pipe joining solutions. On its Centennial “Innoversary,” the company continues to develop and patent groundbreaking technologies, with a current portfolio of more than 2,000 patented solutions that transform the building and industrial construction industries, while driving new industry standards in performance and safety. PumpMan has successfully completed its tenth acquisition with the addition of Astoria, New York-based ABC Electric Corp. This is PumpMan's second New York City acquisition and complements its December 2017 purchase of Brooklyn-based PumpMan NYC (formerly Federal Pump Service & Repair). "ABC Electric Corp. continuously strives to be the most responsive and knowledgeable provider of service and repair for electric motors, variable frequency drives, and electro-mechanical controls for the commercial, industrial, and OEM markets in New York City," said Ivano Riccoboni, President of ABC Electric Corp. "This acquisition provides the opportunity to combine forces with another longstanding NYC service and repair company, invest for growth, and offer increased capabilities to the customers in New York City and the surrounding area." DuPont Water Solutions is proud to be a Silver Sponsor of this year’s Global Water Summit 2019, taking place April 8 – 10. The annual water conference attracts high-level executives from industry, municipalities and international water companies. The focus of this year’s discussion will center on Disruptive Designs – the innovative technologies and strategies that can offer real solutions to today’s water challenges. Suez ZeeWeed 1000 Ultrafiltration Membranes have been selected, based on an international bidding process, for use in the largest tertiary ultrafiltration system in Israel. The new installation, designed as part of a process upgrade of the Sorek Wastewater Treatment Plant, will help protect an environmentally sensitive site at which space is a premium. The Jerusalem Wastewater Purification Enterprises selected the ZeeWeed 1000 Next Generation Cassette system because it produces a very high flow rate of high quality water in a very small footprint. Inductive Automation has released Ignition 8, a major update to its signature software platform that addresses industrial organizations’ needs for expanded architecture, enhanced security, and first-class mobile solutions. This new version gives users a powerful new view of their industrial processes that are more mobile, customizable, scalable, and secure than ever before. Ignition 8 arrives along with the new Ignition Perspective Module. Ignition Perspective is a visualization system that brings powerful new capabilities to mobile devices. Ignition by Inductive Automation is an industrial application platform with tools for building solutions in human-machine interface, supervisory control and data acquisition (SCADA), and the Industrial Internet of Things. Ignition is used in virtually every industry, in more than 100 countries. Greene Tweed highlights its sealing solutions for pharmaceutical processing. The company closely collaborates with customers to design, prototype, and test sealing solutions for life sciences applications in the pharmaceutical manufacturing, analytical instrumentation, and hygienic fluid handling sectors. It’s expanded portfolio of sealing solutions meet the stringent cleanliness, traceability, FDA, and regulatory compliance needs of the pharmaceutical processing industry. The company custom-engineers solutions with its chemical-resistant Chemraz FFKM, Fusion FKM, Fluoraz FEPM, and other materials to meet or exceed quality requirements, including United States Pharmacopeia, FDA, and ISO product standards. With low leachable profiles, these specialty compounds maintain their inert nature in highly demanding conditions. Waterline Renewal Technologies, Inc. (WRT), has been acquired by Behrman Capital (Behrman). WRT was formerly a division of Triwater Holdings, LLC. Evoqua Water Technologies has been selected by Welsh Water and its design and construction partner, Mott Macdonald Bentley, to supply its CoMag ballasted clarification system to reduce phosphorus in Welsh Water’s effluent at both the Lletty Brongu WWTW in South Wales and Ruthin WWTW in North Wales. These will be Welsh Water’s first wastewater treatment plants with a permanent installation of Evoqua’s ballasted settling technology in the ‘low P’ schemes. Dana Gibbs, former President and COO of Gulf Bayport Chemicals, which was recently acquired by MFG Chemical (MFG), has officially joined MFG with responsibilities for corporate planning and supply chain at the Pasadena, Texas plant.